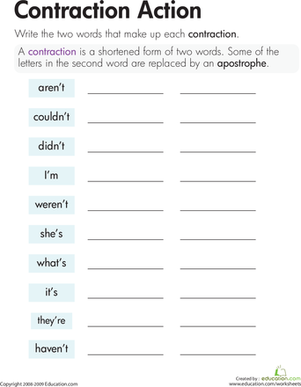 Ready to dive into contractions? 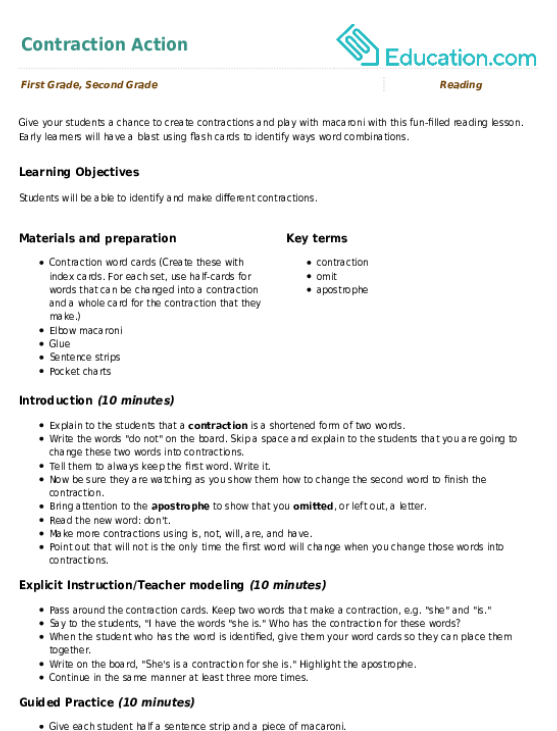 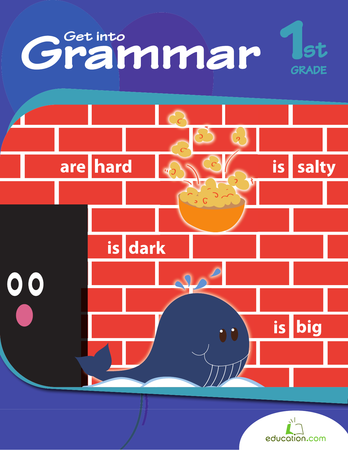 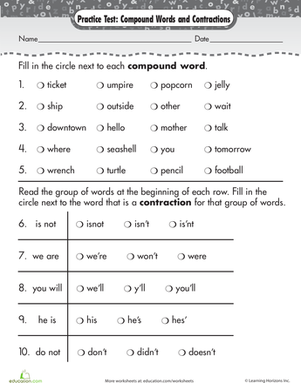 This fill-in-the-blank worksheet asks your first grader to complete each sentence with the proper contraction. 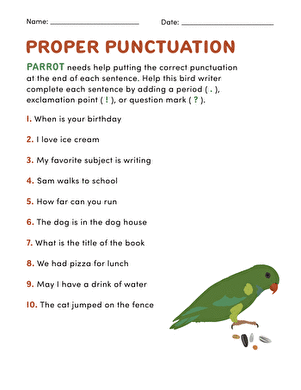 She'll practise reading and spelling contractions, and work on her handwriting, too.